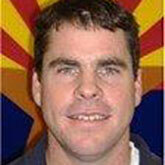 Kris Randall is a riparian ecologist and currently the Coordinator for the Partners of Wildlife Program, U.S. Fish and Wildlife Service. Prior to this position, she worked with EcoPlan Associates, Inc., a private consulting firm in Mesa, Arizona, and for 8 years at the Arizona Department of Environmental Quality as the Riparian/Wetland Coordinator. Kris received a Bachelor of Science in Zoology and a Master of Natural Science in Ecology from Arizona State University. She has been a member of the Arizona Riparian Council since 1987 and co-chaired the Protection and Enhancement Committee, which has now become the Conservation Committee. Currently, she chairs the Policy Committee. Kris has also previously served as President of the Council. Her current projects focus on understanding fluvial processes of arid-region streams and developing restoration plans for riparian and wetland areas. Cindy Zisner is a founding member of the Council since it began in 1986. She holds a B.S. in Bioagricultural Sciences and an M.S. in Botany, both from Arizona State University. Cindy is employed at the Julie Ann Wrigley Global Institute of Sustainability (formerly the Center for Environmental Studies) at Arizona State University where she has had many different jobs over the years from laboratory work, administrative duties, web development, database entry, among others. She represents the Council at environmental education fairs throughout the state, maintains the Council listserv and website, is editor of the newsletter, and chair of the Education Committee. She is also production editor of the Journal of the Arizona-Nevada Academy of Science. John Hathaway has been a member of the Arizona Riparian Council since 2011, though he has long been associated with the Council’s mission as former Statewide Watershed Coordinator for the Arizona Department of Environmental Quality (ADEQ), where he formed many of his working relationships with Council membership, and he recently retired from working as a watercourse planning manager for the Flood Control District of Maricopa County. He earned a B.S. (CE) from Union College in Schenectady, NY and pursued an M.S.C.E. at San Diego State University, specializing in surface water hydrology and river mechanics. Later studies include groundwater/surface water interaction at the University of Montana Flathead Lake Biological Research Station. He is a licensed civil engineer in California, Nevada, and Arizona and received the USEPA Stratospheric Ozone Protection Award in 1994 in recognition of his work at ADEQ. 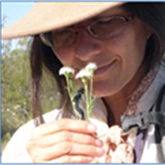 Ms. Fonseca has worked on land and water issues in southern Arizona since 1986. She is environmental planning manager for the Office of Sustainability and Conservation at Pima County. She works with other individuals, agencies and groups toward protecting an interjurisdictional landscape spanning three million acres. In a prior 22-year career with Pima County Regional Flood Control District, Julia worked on surface water rights, land development policy, groundwater recharge, and riparian habitat protection and restoration. She also helped develop the biological reserve design, and natural resource inventories for the Sonoran Desert Conservation Plan. Julia received a M.S. in geology at University of Arizona and a long-time member of the Arizona Riparian Council. Shawn is currently a Regional Project Supervisor for the Arizona Game and Fish Department’s Wildlife Contracts Branch coordinating research, monitoring and habitat restoration projects across Arizona with non-governmental organizations, municipalities and both federal and state agencies. Over the last five years, he has managed an interdisciplinary team of researchers and habitat restoration specialist in the development and implementation of the Arizona Game and Fish Department’s In-Lieu Fee Restoration program. Prior to his current position he had spent 10 years managing projects and research biologist on a wide assortment of wildlife research and monitoring projects focused on studying avian and bat ecology in Arizona and Mexico. He received his B.S. from the University of Arizona School of Natural Resources in Wildlife and Fisheries Management and sees this opportunity with the Arizona Riparian Council as a means of extending his experiences and synthesizing lessons learned from others. Tim’s interest in riparian issues originated from his work to improve the quality of Arizona’s drinking water in the early 1980s when organic chemical contamination of groundwater was a major threat to the public water supply. He soon realized that poor management of water quantity also posed a major threat to a stable society and desert ecosystems. Through discussions with agency staff at federal land management agencies and recreational river boating he came to appreciate the importance of riparian habitat and its dependence on healthy river flows. His major interest now is in monitoring and advocating for the health of riparian systems and informing the public about their importance. In his professional life Tim currently serves as a medical director at the state health department.